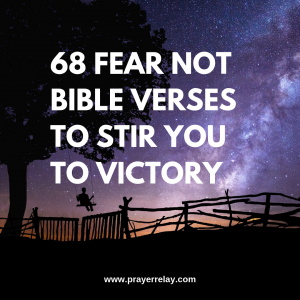 The Bible is filled with verses that command us to fear not. Fear is a thief of joy in everything that you do. Perhaps the harder truth to swallow is that fear and faith do not easily co-exist. Love and faith banish fear, when they are coupled together. The article will pose a collection of fear not bible verses. 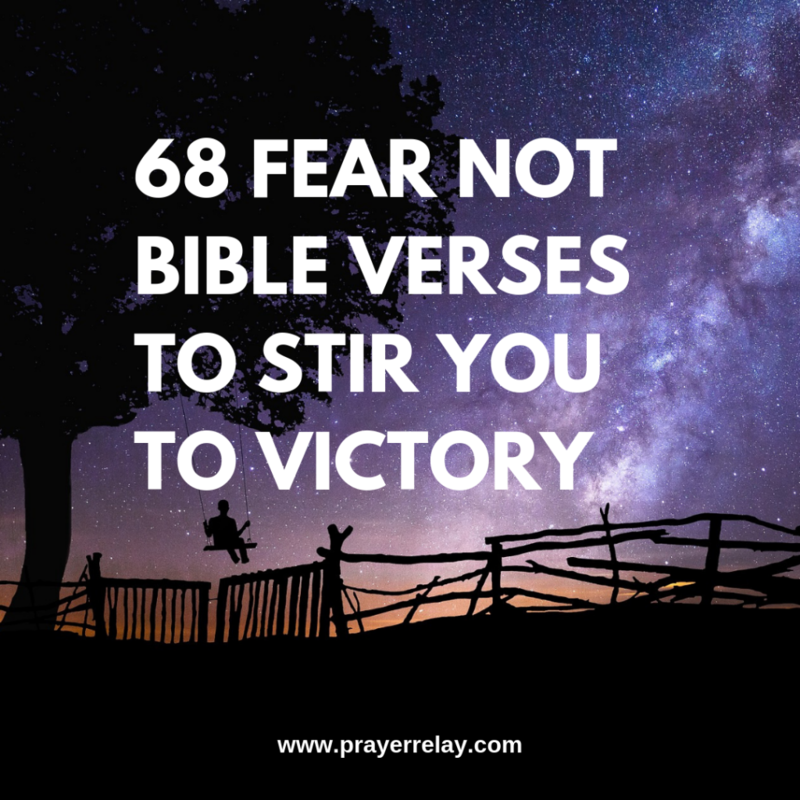 The scripture is packed with words to inspire us and drive away any fear from our hearts. Prophets of old would speak words direct from the mouth of God. 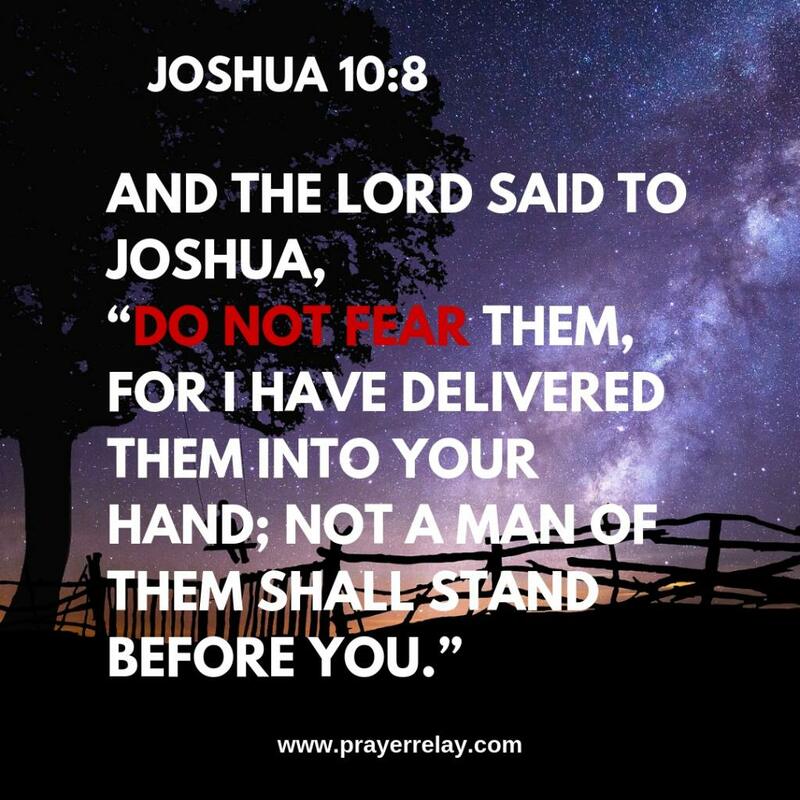 “Have I not commanded you to be courageous?” Were his words of a certain Joshua. If uncontrolled, fear will stop you from become whom the Lord created you to be. If a seed were to fear the sun, it would never sprout out of the ground in which it is planted. Thus, it would remain dormant, unfulfilled potential. The graveyard is packed with such seeds. Seeds that would have been mighty trees! By God’s grace as you read these verses, may something in you be shifted. You will not die with unfulfilled potential. So He said, “I am God, the God of your father; do not fear to go down to Egypt, for I will make of you a great nation there. And Jael went out to meet Sisera, and said to him, “Turn aside, my lord, turn aside to me; do not fear.” And when he had turned aside with her into the tent, she covered him with a blanket. And about the time of her death the women who stood by her said to her, “Do not fear, for you have borne a son.” But she did not answer, nor did she regard it. And Elijah said to her, “Do not fear; go and do as you have said, but make me a small cake from it first, and bring it to me; and afterward make some for yourself and your son. Though an army may encamp against me, My heart shall notfear; Though war may rise against me, In this I will be confident. That they may shoot in secret at the blameless; Suddenly they shoot at him and do not fear. And He led them on safely, so that they did not fear; But the sea overwhelmed their enemies. and say to him: ‘Take heed, and be quiet; do not fear or be fainthearted for these two stubs of smoking firebrands, for the fierce anger of Rezin and Syria, and the son of Remaliah. “Fear not, you worm Jacob, You men of Israel! I will help you,” says the Lord And your Redeemer, the Holy One of Israel. [ The Redeemer of Israel ] But now, thus says the Lord, who created you, O Jacob, And He who formed you, O Israel: “Fearnot, for I have redeemed you; I have called you by your name; You are Mine. Thus says the Lord who made you And formed you from the womb, who will help you: ‘Fear not, O Jacob My servant; And you, Jeshurun, whom I have chosen. “Listen to Me, you who know righteousness, You people in whose heart is My law: Do not fear the reproach of men, Nor be afraid of their insults. “Do not fear, for you will not be ashamed; Neither be disgraced, for you will not be put to shame; For you will forget the shame of your youth, And will not remember the reproach of your widowhood anymore. ‘Therefore do not fear, O My servant Jacob,’ says the Lord, ‘Nor be dismayed, O Israel; For behold, I will save you from afar, And your seed from the land of their captivity. Jacob shall return, have rest and be quiet, And no one shall make him afraid. [ God Will Preserve Israel ] “But do not fear, O My servant Jacob, And do not be dismayed, O Israel! For behold, I will save you from afar, And your offspring from the land of their captivity; Jacob shall return, have rest and be at ease; No one shall make him afraid. Then he said to me, “Do not fear, Daniel, for from the first day that you set your heart to understand, and to humble yourself before your God, your words were heard; and I have come because of your words. Fear not, O land; Be glad and rejoice, For the Lord has done marvelous things! So again in these days I am determined to do good To Jerusalem and to the house of Judah. Do not fear. [ Jesus Teaches the Fear of God ] “And I say to you, My friends, do not be afraid of those who kill the body, and after that have no more that they can do. But the very hairs of your head are all numbered. Do not feartherefore; you are of more value than many sparrows. We would love to support you in prayer. Please get in touch no matter what you would like prayer for. Send a prayer request.